Looking for the fishing trip of a lifetime? We can help you book the best fishing trip based on your budget and goals. Whether you're looking for a convenient location or are willing to travel further to catch a 50Lb chinook (king) salmon, we can find the perfect trip to suit your needs. 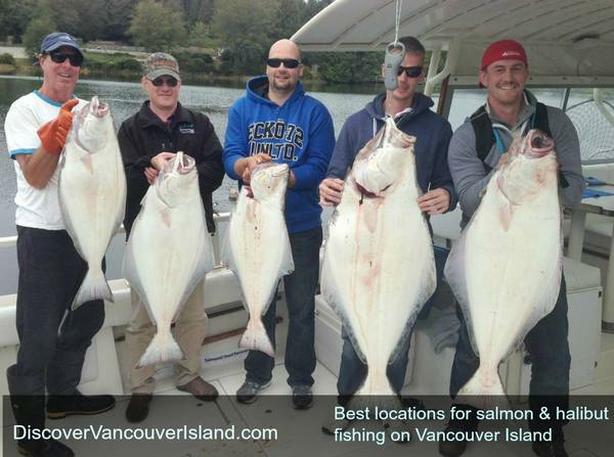 Check out www.discovervancouverisland.com/guided-fishing-trips/ to 2-6 day packages including fishing, vacuum packing and freezing, accommodation or all inclusive trips that include everything. Fish all year out of Victoria, out of Ucluelet in March or Haida Gwaii starting in May. Fish for Salmon and Halibut to fill your freezer for the year! http://www.victoriabc.ca for things to do in Victoria.